It’s been quite a while since I’ve written about the UC Browser (formerly UCWEB). 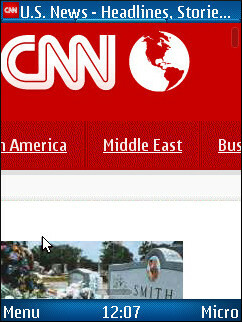 It’s a proxy based browser similar in concept to Opera Mini. The company behind the UC Browser, UC Mobile Limited, is based in Guangzhou, China and UC is the most popular mobile browser in China, claiming over 100 million users. The company is venture funded with investors including Ceyuan Ventures, Morningside Group, Alibaba Group and most recently Nokia. I’ve been a fan of the UC browser since version 6.0, released in 2008, the company has been a real pioneer in bringing desktop browser features liked tabbed browsing, copy and paste and a sophisticated download manager to mobiles. Sometime around the time that UC 7.0 was released at the end of 2009, UC’s international server infrastructure for users outside of China began to show signs of stress. Visiting many popular sites became impossible with the browser displaying a blank screen or an error message. There were also problems logging into some sites and with cookies not being retained within and across sessions. The UC Browser team appears to have mostly resolved the server issues sometime in the last two weeks. There are still some lingering problems with Yahoo Mail and Twitter OAuth logins on Dabr and Tweete, but most other sites I tried worked well. 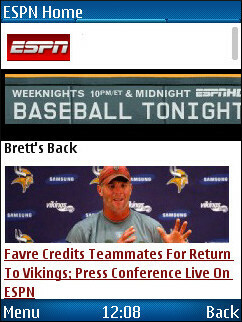 I’m finally able to use the UC Browser with confidence again. 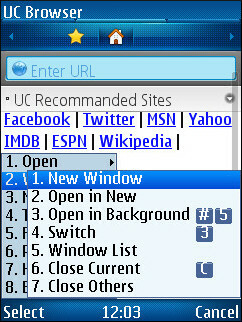 While the server improvements are the big UC Browser news for me, the recently released Version 7.2 is a nice upgrade. 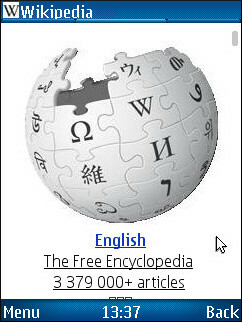 The rendering in the browser’s “Zoom” (desktop or keyhole) mode is much improved (images, above left and below left). Zoom mode used to be almost unusable due to overlapping text and images. 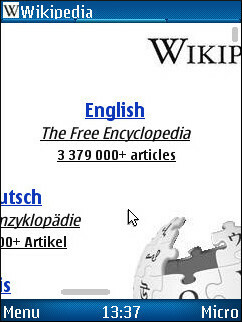 In 7.2 most pages display reasonably accurately with no overlapping elements. I still prefer the UC Browser’s “Adaptive” or fit-to-width mode (image, below right), which, unlike Opera Mini’s similar but badly broken “Mobile View” always works to display pages in a single column without the need for horizontal scrolling. Capture images with the phone camera and upload them. 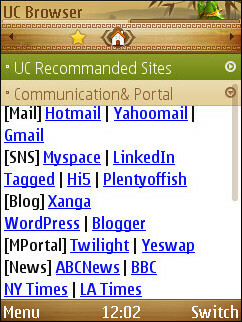 The UC browser is available as a native mode browser for Symbian S60 V1, 2, 3 and 5, Windows Mobile 2003 and later and jailbroken iPhones and as a Java ME version for most other phones. There’s a Chinese language Android release with an English one promised for this month. I tested the Symbian 3rd edition variant on a Nokia N95-3 and the Java one on the N95 and on a Samsung Wave Bada phone. The features, appearance and capabilities of the Symbian and Java versions are nearly identical although the menu structures and shortcut keys are confusingly different for someone who switches between devices. The shortcuts are user configurable. All in all I’m pretty happy with UC Browser. The server stability improvements, better rendering, extensive feature set and cross platform support make it a strong contender in the mobile browser wars. There is still room for improvement though, site compatibility and rendering are still inferior to Bolt and Opera Mini and I’d like to see bookmarklet support and that Android version some day. This entry was posted in Browsers and tagged UC Browser by Dennis Bournique. Bookmark the permalink. TO REMOVE THE BLACK SCREEN FROM UC BROWSER WHEN SCREEN BECOMES BLACK TOUCH TWICE IN THE LEFT HAND TOP CORNER OF THE SCREEN! Ya its now much better than before. UCweb is the only mobile browser that you can swap pages by using left/right navi keys on your device so far. Opera mini 5 cancelled the function and Kinetic scrolling only works on the touchscreen devices.